I know right about now we’re all hoping for warmer days. Am I right? But when the cold seems like it’s never going to end you can at least cozy up with most advanced hot beverage system Keurig has ever built…the Keurig 2.0. I happen to be a Keurig user already and have tried 2 of their other systems, so I was really excited when the newest one was announced. 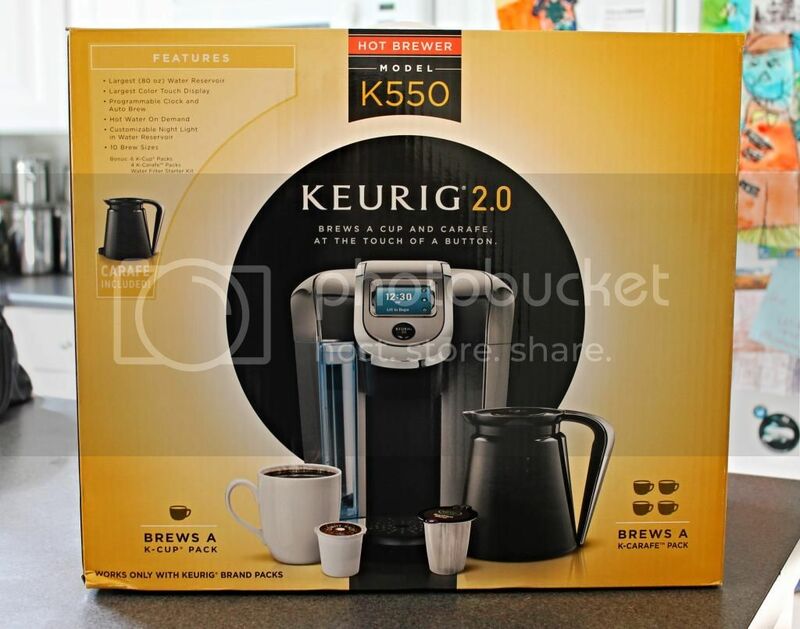 And having Keurig send me the model K550 for review made my day! So, as you can see above, one of the newest features is being able to brew more than one cup at time. Keurig 2.0 is the first Keurig brewer with the ability to brew both a single cup and a four-cup carafe of coffee. As an avid coffee drinker I love, love, love this feature! And with over 400 beverage varieties no one in my household is going to be bored and my guests will love coming over to chat over a nice cup of their favorite drink – mine would be anything Dunkin’ Donuts, Snapple or Swiss Miss! It’s pretty awesome how it all works, too. With this new Keurig 2.0 brewer, the technology behind it allows each lid to be read to deliver a perfect beverage every single time. With the technology and the personalization of the features, like strength control, you can start out your day exactly the way you want. Now with Valentine’s Day coming up their is no excuse to wait any longer to either gift yourself, hint at or get a Keurig 2.0 for your significant other and then borrow their’s. That’s what love is all about! There may still be cold, winter days ahead but once you cozy up with this Keurig 2.0, all those cold thoughts are bound to disappear! Disclosure: This post is sponsored by Keurig. However, all opinions expressed are my own and all the coffee consumed was done so by me and me alone.